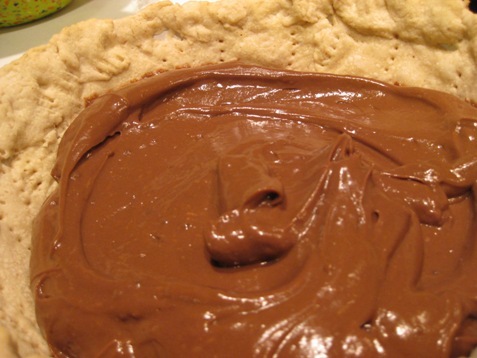 The secret to this recipe is the Martha Stewart Perfect Pie Crust. You may not have a pre made crust on hand but you most certainly have flour, butter and water! 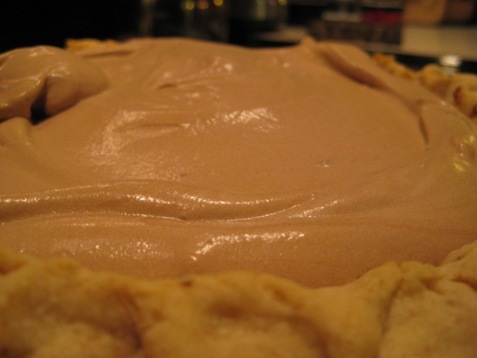 The recipe is so easy and so delicious you’ll have a fresh homemade pie in no time. This recipe makes two crusts. 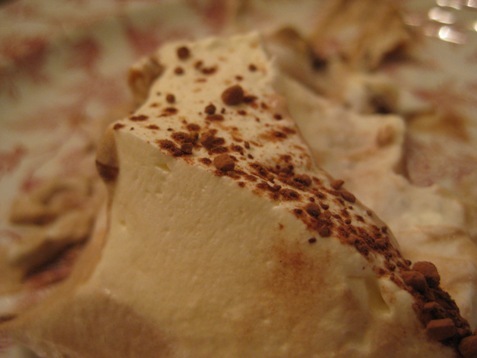 Freeze one for a quickie treat later! 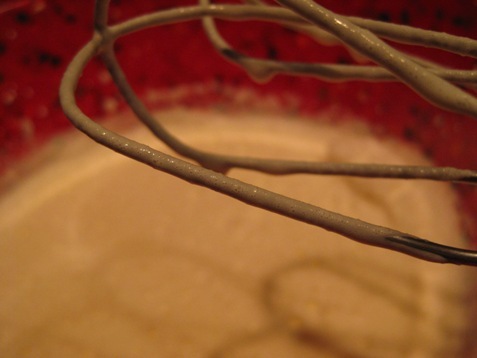 1.Hand Method: In a large bowl, sift the flour and salt. 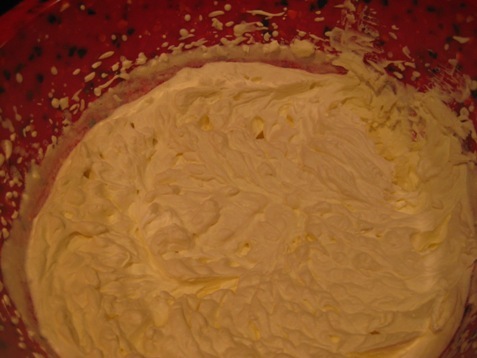 Cut the chilled butter and margarine into 1-tablespoon bits and add to the flour. With a pastry cutter, work flour and shortening together until mixture resembles coarse meal. Add the ice water little by little pressing the pastry together into a ball. Wrap and chill for at least 1 hour. 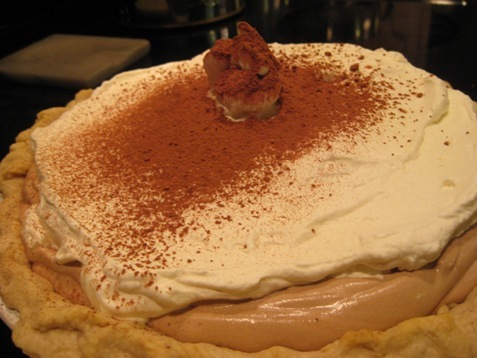 2.It is very important to work the pastry as little as possible. Don’t overhandle. A secret to light, flaky pastry is to keep the mixture cool, add as little water as possible, and mix only as much as necessary. 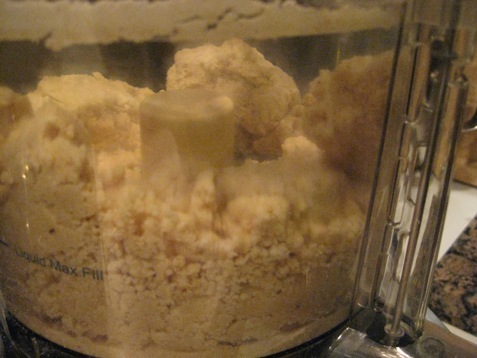 3.Food Processor Method: Put flour and salt in bowl of machine. Cut butter and margarine into flour. Process a few seconds until mixture resembles coarse meal. Drop by drop add the water, processing very briefly. The whole process would take 20 to 30 seconds. Wrap and chill the pastry for at least 1 hour. 4.If pastry has been chilled for a long time, let it sit at room temperature for at least 15 minutes before rolling. 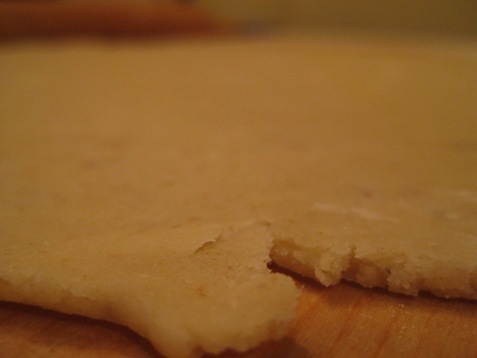 5.Lightly flour a pastry board, marble counter, or kitchen counter. Divide the pastry in half. Pat each piece of pastry into a flat round. Lightly flour the rolling pin. Roll pastry in one direction only, turning pastry continually to prevent it from sticking to the surface. 6.Using pie plate as a guide, measure rolled-out pastry — it should be slightly larger than the pie plate and 1-8-inch thick. Fold rolled pastry circle in half so you can lift it more easily. Unfold, gently fitting the pastry into the pie plate, allowing pastry to hang evenly over the edge. Do not trim the pastry yet. 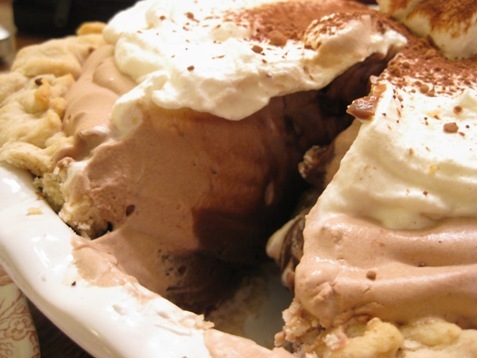 7.Fill the pie with filling. Then roll out the second crust in the same manner as for the bottom. Fold circle in half and with a sharp, pointed knife cut little vents in a decorative pattern. 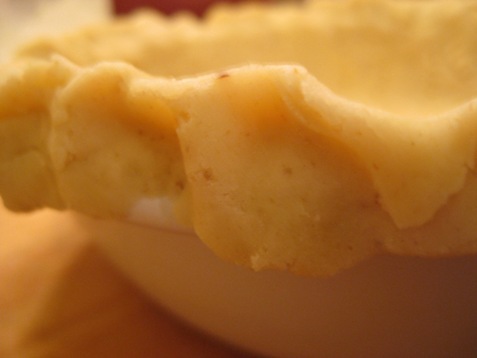 Place folded pastry on one half the pie. Unfold, pressing top and bottom pastry together. Trim edges with scissors, leaving a 1/2-inch overhang. Fold bottom pastry overhang over top and press firmly to seal. Crimp rim, using fingers or the tines of a fork. As for the filling I just used what I had on hand and got fancy! I created layers by mixing some whipped cream with some pudding but you could just as easily do a layer of pudding; I used instant chocolate, and whipped cream; I made my own! First layer of chocolate pudding. 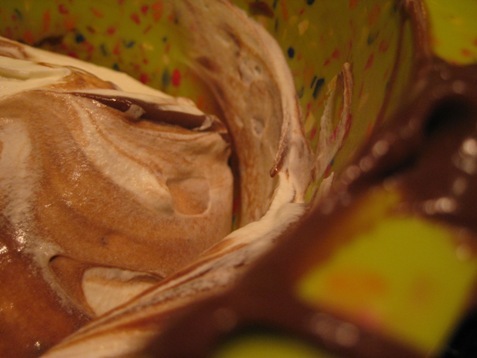 Mix some whipped cream with chocolate pudding for a special layer of creamy yumminess! I dusted with cocoa for effect! Soda Bread with Raisins is Warm and Delicious on a Snowy Winter Morning!